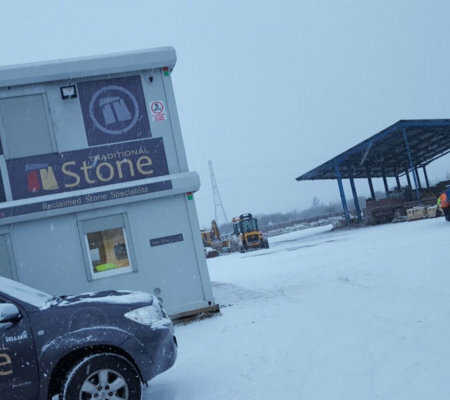 Walling in winter can be tricky business and with the ‘Beast from the East’ and Storm Emma about to cause chaos (again) we thought the time was right to share our expert tips for cold weather construction. Remove ice and snow before starting work. Do not build on frost, ice or snow because when it melts it will reduce bonding. Also, from a health & safety perspective, building sites are dangerous enough without adding ice and snow to the mix. When walling temperatures need to be +2°C and rising to allow your mortar to cure. Mortar consists of three components; water, sand and cement, it gains strength (and generates a little bit of heat) during the hydration process. 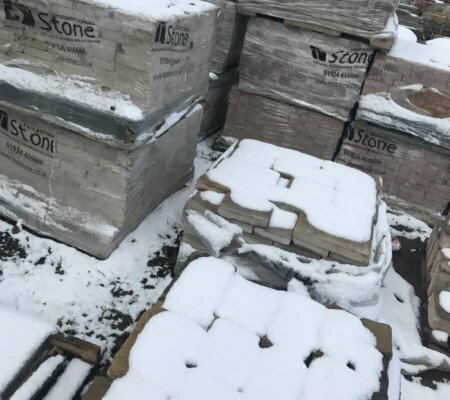 But, if temperatures are too low the chemical reaction in the mix will not happen and the water can freeze and expand causing cracks in the surrounding masonry. 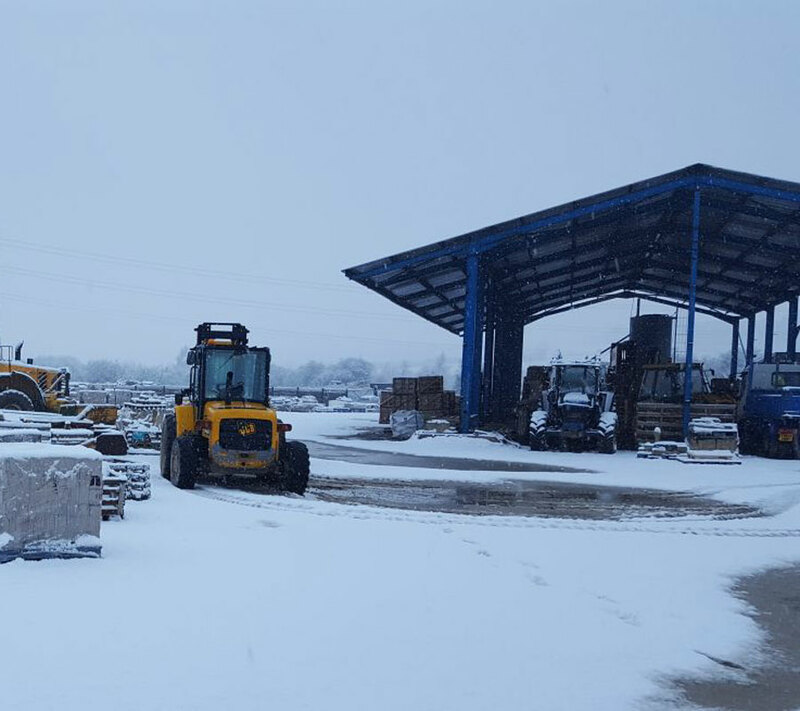 Cover up as soon as you are warned that temperatures will drop or heavy rain/snow is expected. Use hessian material or tarpaulin for added protection against rain and frost. 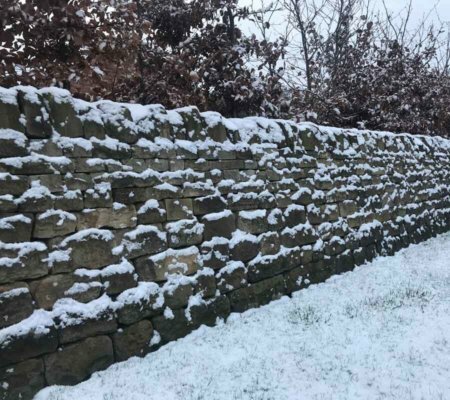 Leave your new walling covered until the snow and frost has gone or the rain has stopped. 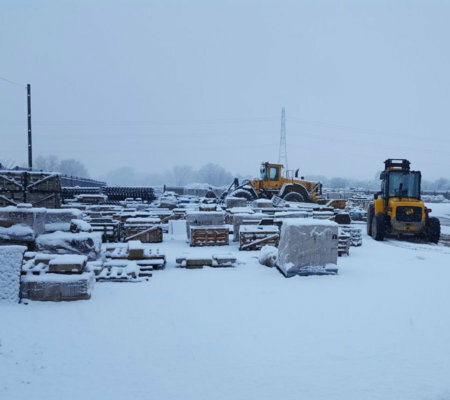 If the temperatures fall to sub-zero levels, covers should be minimum of ½ an inch thick. 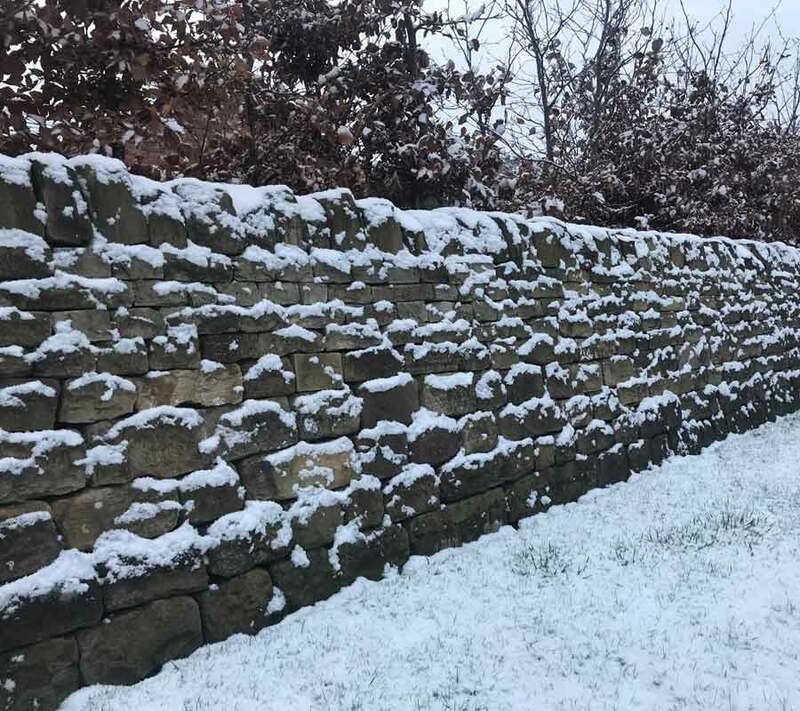 Cover everything, from materials that are to be used, to areas that are to be worked, to finished sections of walling once built. 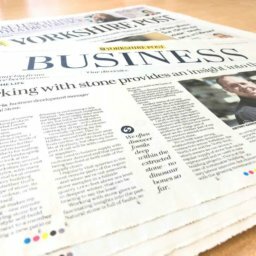 Mortar accelerators can be used but do so with caution – this could change mortar colour varying the required appearance. 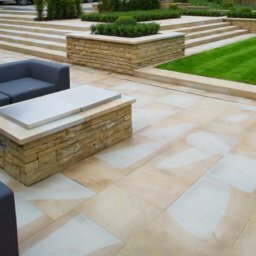 We pride ourselves on supplying a range of beautiful, sustainable stone to enhance buildings and landscapes throughout the UK. But beautiful products need to be built following the correct procedures to give the best end results!